Allthough every country has its own auctions on line (like we in Belgium have 2dehands), you can not find any or very few scarce Tolkien books for sale there. There is of course ebay to fullfill your needs. 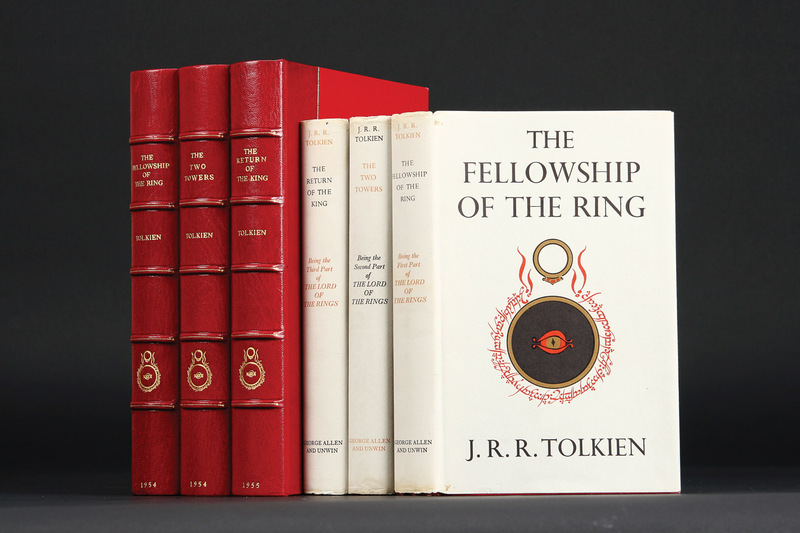 Ebay is the largest and biggest and best auctionsite internationally and features 2000 Tolkien related items daily. Ebay has become the major source for Tolkien collectibles as well as numerous other new and used items. The downside is that the availability of items has actually created a whole new group of collectors. This has increased demand and prices have shot dramatically upward. But then again... if you are looking for a specific book, you have a big chance finding it up for sale on ebay. And if it is not very scarce you should be able to make a choice of condition and country of oirigin, payment method, etc. which makes collecting Tolkien related materials a lot easier! The secret to finding treasures on Ebay and any other internet auction is proper searching. There are so many Tolkien items up for graps on Ebay at any one time. It is very time-consuming to list all of these and examine each one. Searching allows you to refine the item listing and taylor it to the items you select. If you want to go and find out all about ebay you can register for free.